A setup in which a person or organization is in charge of developing an entire franchise system and brand in a particular country. The person or organization can then sub-franchise out rights to other franchisees for individual or multiple units, or for regional franchising. The master franchise owner is essentially the franchisor in the country and takes a royalty from any sub-franchisees. Because master franchisees are in charge of other franchisees, they need to know both sides of the franchise's operations – how to run the franchise as a franchisee and a franchisor. This option is similar to master franchising, except that instead of an entire country, the franchisee gains the right to develop that brand in a region that is large and identifiable (i.e. Texas, Scotland, or New South Wales). Regional franchise owners also franchise out individual and multiple units. This option is similar to regional franchising, except that it is for a city or smaller region, and is more geared towards managing multiple franchises itself, rather than sub franchising. With this option, companies basically add franchises internationally, as a company would in the U.S. The franchisee buys directly from the main company, either from the United States’ headquarters or from a subsidiary office. This is a mix between master franchising and direct franchising. The franchise works with a business partner in the target country, whether a person or corporation, to joint finance and control the franchise’s brand and model, and they either manage the franchises together, or sub-franchise them to others. In recent years, the popularity of area development franchising has been on the rise. There are a few reasons why this is happening. Direct franchising is relatively impractical for the franchise unless the target country is very nearby the franchise’s headquarters. Area developers are good conduits to spread the brand in large areas, and they have serious incentives to promote it. But as opposed to master or regional franchisees, having multiple area developers in the country and region can help spread the risk for a franchise, avoiding having all their eggs in one basket. A couple of decades ago, international franchising was thoroughly dominated by the biggest franchises. However, international franchising has expanded significantly – it is estimated that 800 companies are franchising internationally and 100 more cross the border each year! This is driven not just by the big franchises, but the little guys as well. On a recent list of 500 top franchises, even as far down the list as 472, Abrakadoodle, only has 25% of its locations in the United States! The countries included have expanded as well. International franchising is no longer primarily limited to Canada and the United Kingdom. Frequently the local franchises in the host country offer significant competition to the US franchises branching out. It is important that franchisees are sensitive to local conditions and that franchisors are willing to help franchisees, or at least allow them to reconfigure their products and services as necessary to succeed in the different conditions of the target country, whether they be culture, climate or law related. Extensive research is required to figure out if a company's products or services should be changed to appeal to the different cultural norms in a country, in ways that can sometimes be very detailed and specific. For example, a candy company found that Middle Easterners prefer their chocolate monochromatic, while Chinese and Japanese residents like their chocolate pieces smaller than in the US. Local laws come up as a factor in several different areas important to franchisees. For one, the franchisee must ensure that the trademarks used by the franchise are available in the target country – different countries have different rules about who can reserve trademarks, and whether prior use is necessary. Without the trademarks, it could be impossible to open the franchise or costly to have to buy the trademark. In Western Europe, franchises must adjust to laws and regulations that are far more strict regarding workers and other practices. Of course certain countries are expected to be better targets than others for international franchising. In recent years great places for franchising included China, Colombia, India, Vietnam, and South Africa, and opportunities still abound. Always look for strong economic activity and easy regulations when considering a market - and of course, make sure the local consumer is a match! Some franchise sectors are more popular than others for international expansion right now as well – particularly, specialty food and retail, automotive products and services, commercial services like facility management and security, and personal services like maids and home health care. 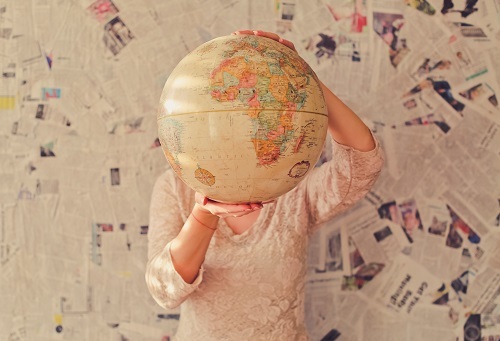 While franchising internationally has its difficulties, it also presents whole new worlds of opportunity for franchisees interested in a challenge and a chance to get off the beaten path. The risks are greater than domestic franchising, but the payoff can be greater as well. Looking for more franchises? Take our franchise quiz here.